Our breakfast ritual usually involves eggs, eggs and more eggs. Literally, my kids eat scrambled eggs each and every morning like they are going out of style! Sure, I like my buttery, sunny-side up eggs with hash browns or a bacon-filled breakfast taco, but sometimes mama needs a little break from the ordinary. I mean, it's no secret that I have a pretty raging sweet tooth and I have every intention of using it! So, last night Evan and I were taking our weekly kitchen inventory and there were some items that needed to be used up. Apples, orange juice, and a (absolutely enormous) bag of dried cranberries that we purchased during some recent trip to Costco. After toying around with thoughts of making an everything-but-the-kitchen sink sort of breakfast bread, I decided to make muffins. 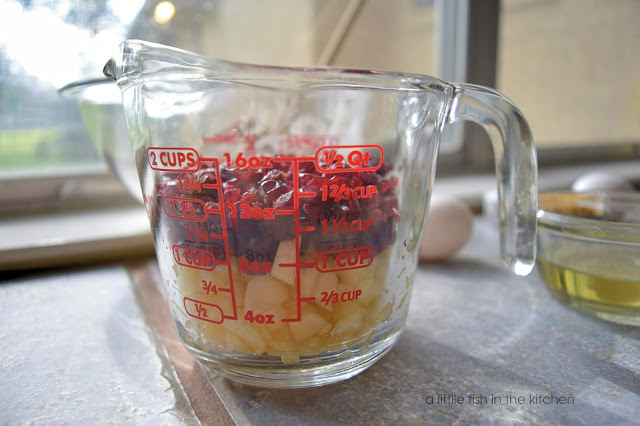 Apples and cranberries go together like peas and carrots, and let's just say putting orange juice in the batter felt experimental, but it sure did work! To tell the truth, these muffins turned out better than I expected and they are amazingly moist and tasty. Each bite contains a little symphony flavors: a hint of cinnamon spice, tartness from the cranberries, sweetness from the apple, a tiny pop of citrus from the orange juice and a bit of crunch from the pecans! 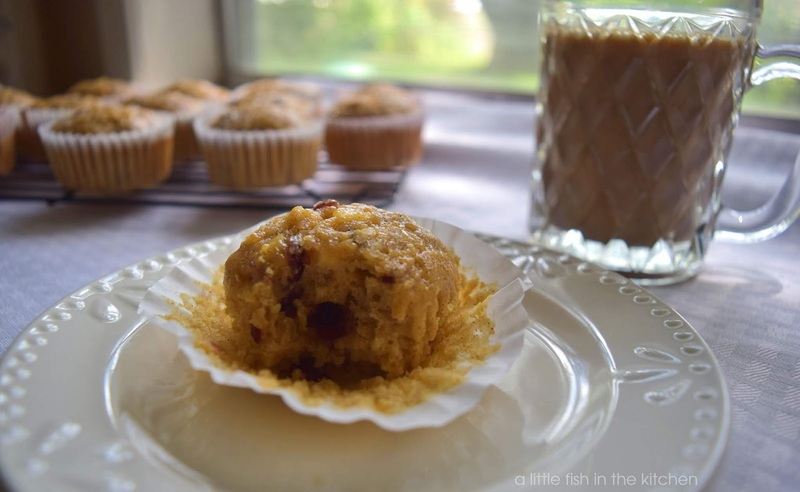 These muffins had such a brightness to all the flavors in them that "Mornin' Sunshine" just seemed like the perfect name for this recipe. I hope your family will enjoy these delectable, dairy-free muffins too. Note from the author: this post was originally written in July of 2015 and was saved as a draft for all this time! The body of the post was written and complete and the recipe ingredients listed, but for some reason I never came back to it before now. I actually made these muffins last weekend, and boy are they good! This old post has been updated with completed recipe instructions, photos and a print tab. I sincerely hate to update or alter old posts too much, so I'm only adding this short epilogue. 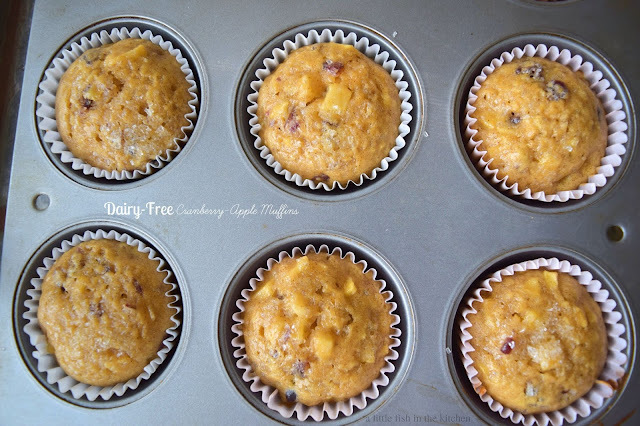 Hope you enjoy this little blast from the past... and a good dairy-free muffin recipe! 1. Pre-heat oven to 350°. Line muffin pan cups with paper liners and set aside. In a large mixing bowl, combine the flour, sugars, baking powder, baking soda and cinnamon. In another small bowl, combine the beaten eggs, orange juice and oil. 2. Pour juice mixture into dry mixture and stir batter until just combined. 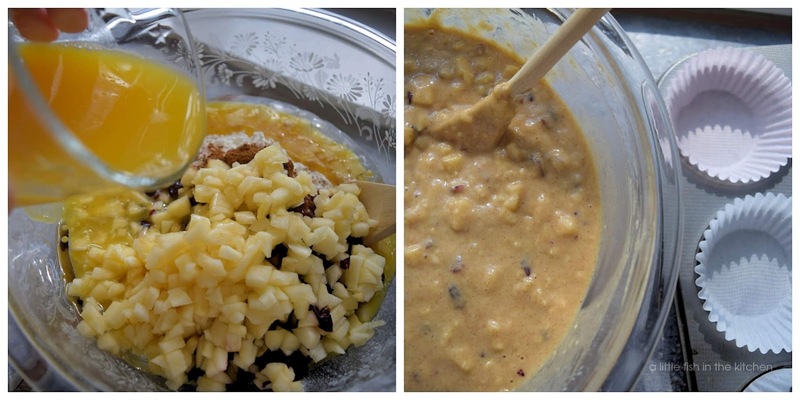 Fold in fruit and chopped nuts. 4. Serve with coffee or tea and enjoy! This is a great recipe. And healthy!!! They look so moist and I love that they are loaded with fruits. Perfect for breakfast or afterschool snack. Love these! Great flavors and using orange juice is brilliant! i can't remember the last time i made muffins, but i really should start again! I have quite a few more too, Grace! Worth going back to some older posts, for sure! I have one of those giant bags of cranberries! So glad you posted this because I always need ways to use them!